Shade Sail Design, Installation and Repair. We service all thing shade! We specialize in Residential and Commercial Properties. Shade Sails Fabric, Colors, Hardware, you name it! We offer the complete product solutions to all things Shade! Browse our Galley and Portfolio. Get inspired by our shade sail ideas and designs for your home or place of business. Welcome to Cali Shade Sails! We are Southern California's #1 Full Service Shade Sail and Canopy Design and Installation Company. When it comes to keeping you, your family, friends, guests, customers or employees cool from the sun - we have the perfect product and ideas to make it happen! Cali Shade Sales is a company established to cater the shading needs of our clients nationwide. Our company is known in the production and installation of Shade Sails in the United States and abroad. We have various branches nationwide to cater the shading requirements of our customers. ​Our array of production to include the manufacture and installments of Cali Shade Sails canopies which are very easy to install in whatever places you like during parties and garden activities. ​Our expertise in the manufacture of shade sails for your animals in the farms and shade sails when your family are in vacation have received commendations and positive compliments from customers here and abroad. We have a vast array of shade sail designs for you to choose. Providing you your shading needs is our specialty! We are known for our product quality. Something we are proud of. We give assurance to our customers that our shading materials can withstand the elements of environment as recommended by our clients and expert technical men. We deliver you the best shading products at your specifications. Cali Shade Sales has integrity and has been the number one company in the production of your needed shading materials. Call us today or request a free online estimate! ​Complete Shade Sail Design and Installation Service for Any Home or Business. No one does Shade Canopies better then Cali Shade! Cali Shade Sails is always selected and chosen in areas of Ontario, CA because Cali Shade Sails are made of quality materials suited to last. 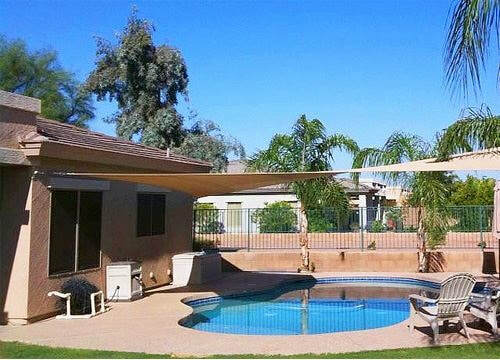 Cali Shade Sails is the preferred Inland Empire Shade Sail Provider for all the needed shade requirements for pools and patios covers. Our shade sails are chosen because our materials can withstand extreme environmental changes understanding fully the needs of protecting our clients and their business customers as well. Cali Shade Sails is known for quality products and a high company integrity. We promise to perform with absolute quality with all our products and years of experience in the field and have proven our businesses in all of southern California. Cali Shade Sales has an array of shade sail designs for our clients choosing. Your selection is our concern and we are to deliver as soon as possible. Our designs include Patio Shade Sails and Pool Shade Sails for our clients in Rancho Cucamonga, CA. We also are available to install Playground Shade Sails in San Bernadino, CA. Our shade sails style embraces quality of material used most especially our client specification for Residential Shade sail installation in Corona,CA. We also accommodate the Commercial shade sail installations in the Riverside, CA and RV shade sails in areas of Fontana, CA. Our men in the field were also able to cater the needed shade sail requirements for Industrial shade sail installations in Chino, CA. ​Shade Sails Ontario, CA is just a call away. We offer Ontarian's shade sails for your livestock and commercial shade sails for your business establishments. We also offer your business establishments parking shade sails requirements for your customers. ​Cali Shade Sales is a company with ample experience in Shade Sail installation throughout the country. As a leading manufacturer and installer of Shade Sails we make assurance for the quality of our product to give not only the needed shading requirements during parties but also the needed protection from the environment either from the heat of the sun, and the sudden change of climate to raining. Our company is also committed to reinforce the needed shading protection requirements of our livestock in Rancho Cucamonga, CA. Our livestock have suffered tremendous heat stroke resulting to unprecedented livestock deaths during extreme hot summer days. We also install the needed shade structures during the construction phase of residential houses at Pamona, CA. Shade sail were also installed in various playgrounds across the country to protect our children from unprecedented heat stroke during summer. We also provided shading protection for our parent audience in playgrounds across the country. Shade Sails were also installed in cemeteries during interment. We see to it that guests are well protected from rain and the heat of the sun during this day of sorrows. Cali Shade Sails is a company designed to cater your needed protection not only during the time of merriment but also during time of sorrows. Call us now, If you are in need for protection. We will be there for you. We are just a call away in Ontario, CA for your shading needs. We always seek for the fullest satisfaction for all of our customers. We offer our customers in Ontario, CA Free On-Site Shade Sail Estimates! Our offer would include your preferred Shade Sail designs, Installation, material preference and we welcome our customers discussing with us their ideas and recommendations. We also can discuss and determine the exact costs estimates during our visit. Call us now and schedule a free visit. We will guarantee 100% customer’s satisfaction for our clients in Ontario, CA. Cali Shade Sales will conduct free visitation and inspection to our valued Rancho' customers in a first call first visit basis in areas of Rancho Cucamonga, CA. We will discuss with you your shading needs for your livestock for the coming long summer. Our visit is geared towards protecting your animals from possible heat stroke and other extreme weather conditions. 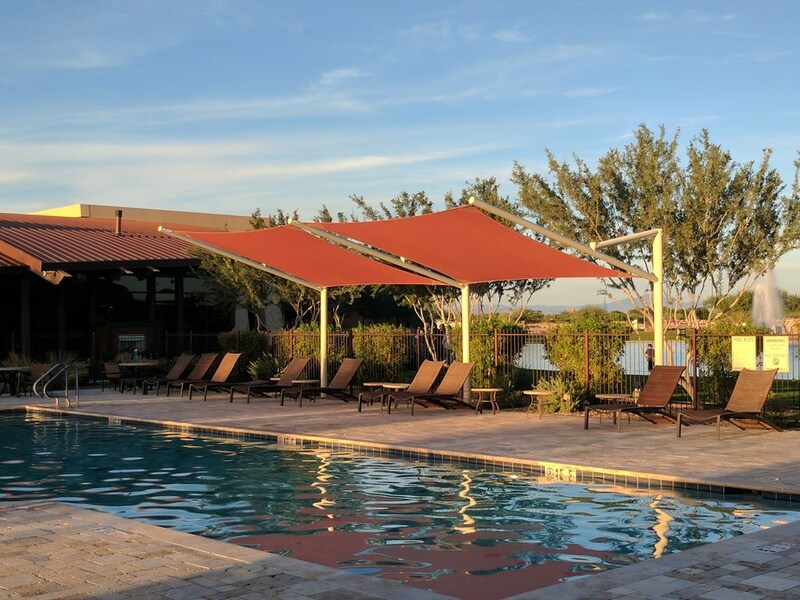 We are also offering the installation of Patio Shade Sails in your ranch houses and Pool Shade Sails for your children to enjoy the pools to the fullest. ​Our company also offers Rancho Cucamonga the immediate installation of needed Shade Sail canopies for all patio and pool shade covers. We are happy to serve you for all your shade canopy needs! Residential Shade sail installation – the City of Chino is endowed with record high temperatures throughout the year with very minimal precipitation in the months of October to March. Residential Shade Sail installation in the residential areas of the city is a must. Cali Shade Sales is offering free assessment to the first 100 customers who will contact us in a first contact first visit basis. We will be glad to discuss your shading needs and cost estimates with you and your family. Commercial shade sail installations – Cali Shade Sales is offering free assessment inspection to all business in the City of Chino, California needing commercial shade sail installation such as shade sails installation in the parking lot for your customers and Patio shade sails in the frontage of your business establishment. Our technical personnel will visit your area as soon as you will contact us the soonest. We are here at Chino City, CA to serve you best. Industrial shade sail installations – Cali Shade Sales has been in the vicinity of the City of Chino for years and have served on providing the needed industrial shade sail ever since. Cali Shade Sails has spearheaded all shading need for every industry type in the city of Chino. Cali shade sails has been in the City of Pomona , California serving the residents of the city for years providing them their needed shade protection for their families. Cali Shade Sails has been in the fore front in the manufacture and installation of shade sails in the city. It is the experience and delight of the residents of Pomona City to have Cali Shade Sails just a call away. Cali Shade Sails has been receiving awesome compliments from their customers and commendation from business establishments they have already served. These are the reasons why Cali Shade Sails is number one in the State of California at present and in the future. San Bernadino City, California lies in the San Bernardino foothills and the eastern portion of the San Bernardino Valley, roughly 60 miles (97 km) east of Los Angeles. San Bernardino features a hot-summer Mediterranean climate with mild winters and hot, dry summers. San Bernadino City, California is a city right for Cali Shade Sales. With the city’s extreme weather conditions, the residents of the city need the required protection from the hot sun that may cause heat stroke during summer. Cali Shade Sails offers the residents of the city of San Bernadino free assessment and inspection of their need for shades in their houses or for their business establishments. Cali Shade Sails will give assurance to our valued customers that we are shade sail installation company with vast experience in this business for years, Cali Shade Sails have been commended for our integrity and quality of our works. We have already received awesome compliments from our customers in the State of California who are in dire need of shading requirements for their families and livestock. Call us now and our team of experience technical men and women will come to your house to do inspection and assessment free of charge. We are happy to discuss the details of your requirements as well as the cost estimates of the job you need us to accomplish. ​Riverside City California is the capital city of Riverside county which can be best described as mostly desert in the central and eastern portions, but has a Mediterranean climate in the western portion. It is a county of 91 towns and cities. The temperature of the area is very high that in this county we can observe some ghost towns. Most of the lands, however has been transformed into housing projects. Subdivisions sprawled in the valleys. That is why Cali Shade Sails is here in Riverside County, CA to provide the necessary shading requirements of the populace. Cali Shade Sails have provided their customers their shading requirements for years. Customer’s experience and satisfaction has been commended for Cali Shade Sales tested integrity in Shade Sails industry. Cali Shade Sails offers shading need requirements in industrial as well as business shading installation as soon as you call us immediately. We offer free inspection and assessment for your need and we will provide your requirements the soonest possible time. Our installation is fast because our Shade Sails are easy to install and dismantle. ​Our services to include shade sail requirements for your children’s playground, shading requirements for your parking lots, and shade construction wherever you want them in your house or in your business establishments. Corona is a city in Riverside County, California, highly industrialized and the home of Watson Pharmaceuticals and Saleen known manufacturer of sport cars. Cali Shade Sails has been in Corona City California for years. Cali Shade Sails have provided industrial shade installations in various industries of the city. They have been in the fore front in the construction and installation of highly valuable shade sails products in the pasts. Cali Shade Sails has been receiving customer’s complimentary citations for their products having proven to be good in quality and protection capabilities. Cali Shade Sails has been preferred by business establishments in the city of Corona because of their proven reliability and integrity for the past years. Cali Shade Sails has been in the limelight during the long and hot summer last year for they also provided the needed shading requirements for the protection of livestock in the surrounding ranches in the vicinity of the city. Cali Shade Sails is just a call away for those who needed our services. Contact us now and we will be there at your doorstep to conduct inspection and assessment for your needs. ​Covina is a city in Los Angeles County, California, about 22 miles (35 km) east of downtown Los Angeles, in the San Gabriel Valley region. Covina is a city experiencing warm, hot and dry summers. Cali Shade Sails has been in the city and has provided the needed shading requirements of city residential areas and business establishments. Cali Shade Sails has a acquired a very high approval ratings in the city since it was established a few years back. 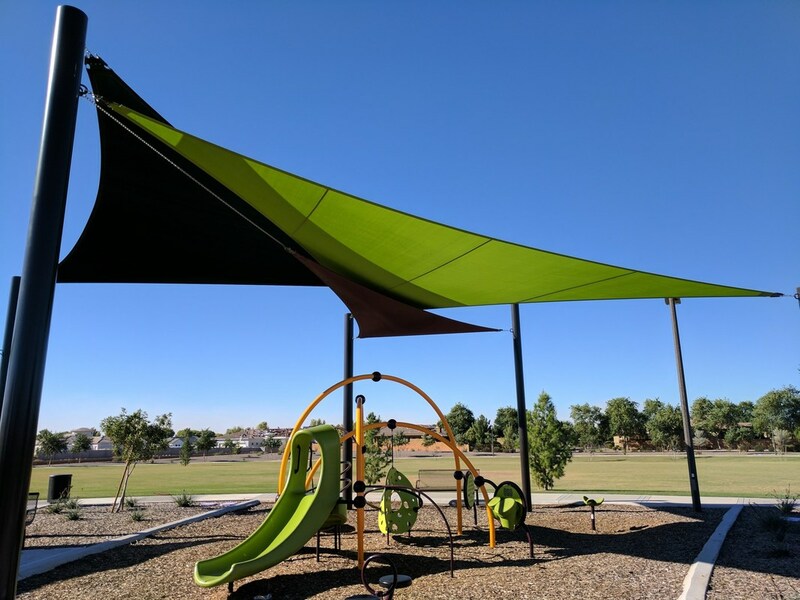 Cali Shade Sails have installed almost all shading need requirements of industries in the city of Covina to include shade sail installation for parking spaces fpr customers and canopies that provided the needed shades in the playgrounds. Cali Shade Sails was also able to provide installation of Pool Shades and well as shades in pathways and patios and the verandas of Hispanic mansions and rancheres of the region. The name Cali Shade Sails was maintained their sales and excellence in shade construction and installation in most industrial areas of Covina and residential areas of the city. For those who are still needing our services, give us a call or request a free online estimate request! Fontana is a city of 207,460 residents in San Bernardino County, California. It is highly industrialized and the site of the Kaiser Steel Mill. It is the second populous city in the San Bernardino county in the State of California. Fontana is a city frequently affected by the strong, hot and dry Santa Ana winds. Fontana can also be extremely hot in summer, well over 100 degrees Fahrenheit. 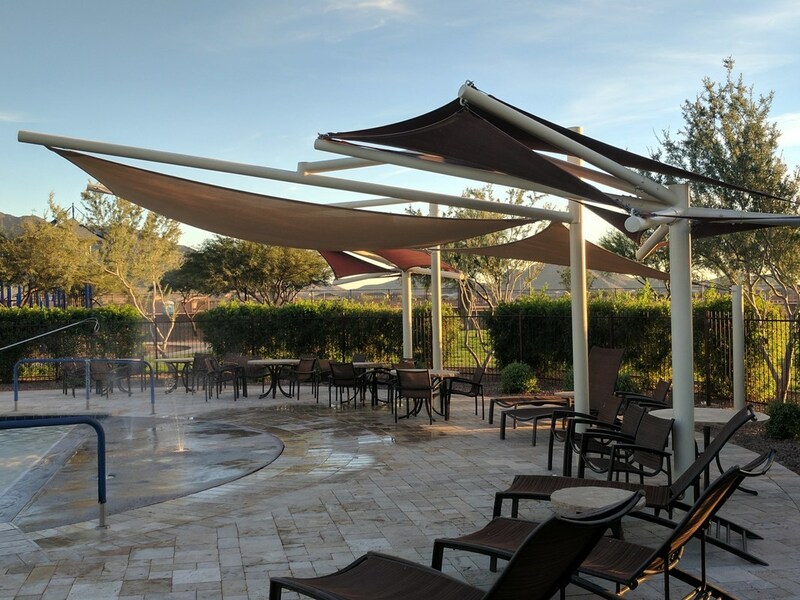 Cali Shade Sails in Fontana has been in the city for years and has been in the fore front in providing its residents the needed shading requirements of their homes and their business establishment. Cali Shade Sails has proven experience in the city and has valued customer satisfaction for years we been in the city. Residents of Fontana City has commended our men and women in the field as they experience our way of protecting their families by providing them their needed shades during extreme hot summer days. ​We are a company lauded for our relentless concern during time of needs mostly residents of the city who have experience satisfaction of our services. We are still here in Fontana to provide the necessary shading requirement of your residences and your business establishments. Call us now and our technicians will be right away in your doorstep to conduct physical inspection and assessment of your needs. If you call now our visitation will be free of charge. Yes, we also service all of Orange County, California for shade sails and structures! ​This is done through our partner site Orange County Shade Sails. ​If you are in the market to purchase shade sails for any city withing Orange county, we can help! We specialize in all residential and commercial shade cover structures. We only use the best and most durable materials in the shade sail market. Visit the link above to learn more!